Keep Your Valuables Secure with our Safe Service and Sales! Country Lock and Key offers trained technicians to help you decide which type of safe fits your application, budget, and personal needs. This differs greatly from one person to another, and one business or home to another. Safes are one of the best investments you can make to protect your valuables from damage of theft. Country Lock and Key try to carry a full range of safes to suit the needs of a business depository or a residential hidden safe to hide as a sprinkler head. Options include fire ratings, security, impact and ease of access. Beyond this, many safes are available with locking options. Safes come with key locks, combination locks, and electronic locks. 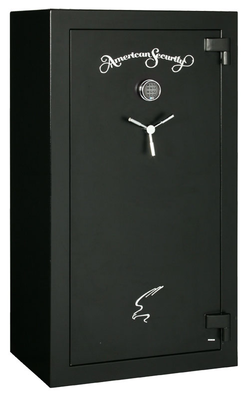 Once you have decided on which safe is the best for you, Country Lock and Key offers delivery and installation on all the safes that we carry. The unfortunate truth in the safe industry is that they are sometimes tampered with, burned, dropped, combinations lost, etc. Although safes are designed to withstand any or all of these conditions, it usually takes a professional technician to acquire the contents inside the safe afterwards. Country Lock and Key are proud to offer quality, professional service to our safe customers. Country Lock and Key covers a full range of services such as drilling, combination changes, and installation. If you are changing locations or want us to deliver your safe, give us a call! We have the equipment and vehicles to move, deliver, and bolt down safes. Whether you are moving, bought a safe from us, or bought a safe from someone else; let us assist you in your safe or vault needs.